SERAP tells presidency to use stolen funds to pay minimum wage – Royal Times of Nigeria. 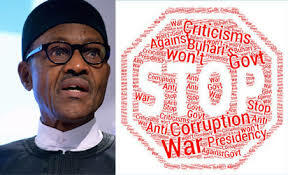 The Socio-Economic Rights and Accountability Project, SERAP has urged President Muhammadu Buhari to intensify the crackdown on stolen funds to fund the new minimum wage proposed by the Nigerian Labour Congress (NLC). The Deputy Director of SERAP, Mr Timothy Adewale, said this today in Lagos. According to the group, the minimum wage of N18, 000 for Nigerian workers stands in sharp contrast with outrageous and sometimes illegal salaries and allowances of high-ranking public officials who continue to enjoy lavish lifestyles with impunity. Adewale urged President Buhari to provide bold leadership to improve conditions for the ‘working poor’ and ordinary Nigerians by publicly supporting a just remuneration to enable them to live a decent life. The organisation said the Federal Government could make this a reality by pushing to recover assets and other illicit wealth stolen by public officials and institutions since the return of democracy in 1999. The organisation also urged President Buhari to stop former governors from receiving double pay and life pensions as serving senators and ministers.